your trial ends, uninstall any time. Team Secrets uses bank-grade encryption to protect your file attachments from the moment you start uploading until they are opened by the recipient. Snooping on the transfer or stealing the file will result in something completely undecipherable. Team Secrets ensures that anyone opening your file attachments is authenticated using at least 2 forms of ID. Email, team, passphrase and mobile phone verification means only the people you choose can assemble the keys necessary to decrypt the files. Team Secrets lets you choose your own AWS S3 bucket for storing encrypted secrets. Learn more on how to configure your custom S3 bucket. Professionals need their content to be secure. That’s why Team Secrets lets you pick who can view your sensitive files. You choose the email names/domains that get access and Team Secrets validates their identity. Jira admins can add a custom encrypted field to any issue type. Protect access to secret text with multi-factor authentication. Encrypt passwords, SSH keys, secret tokens, AWS credentials - any text or file you need to keep secret. Track every action and attempted access for your secrets. 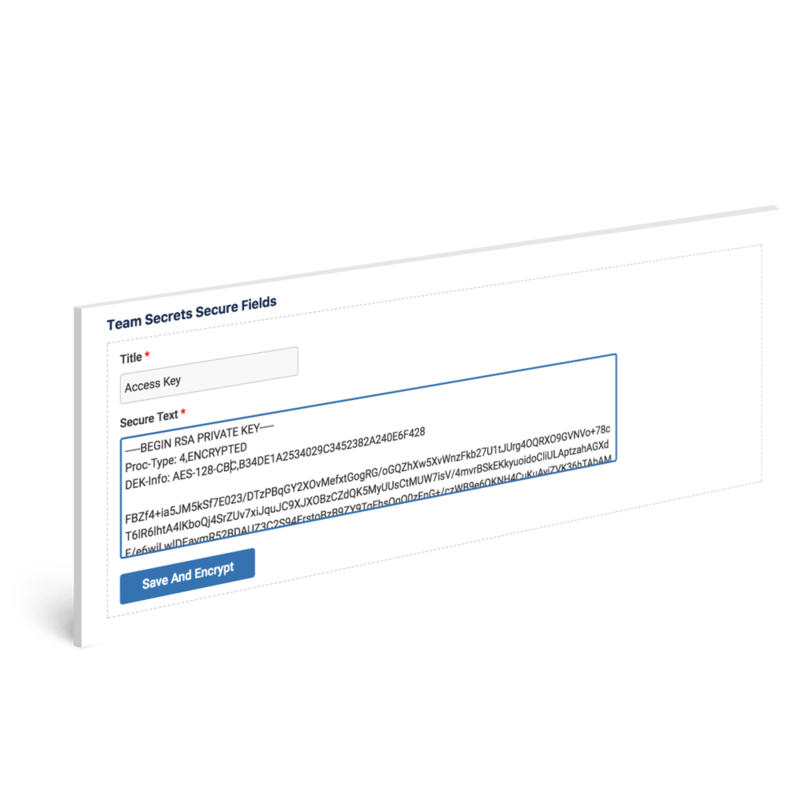 A new Jira activity panel shows every attempt to created, delete, or access your secret files and encrypted text.